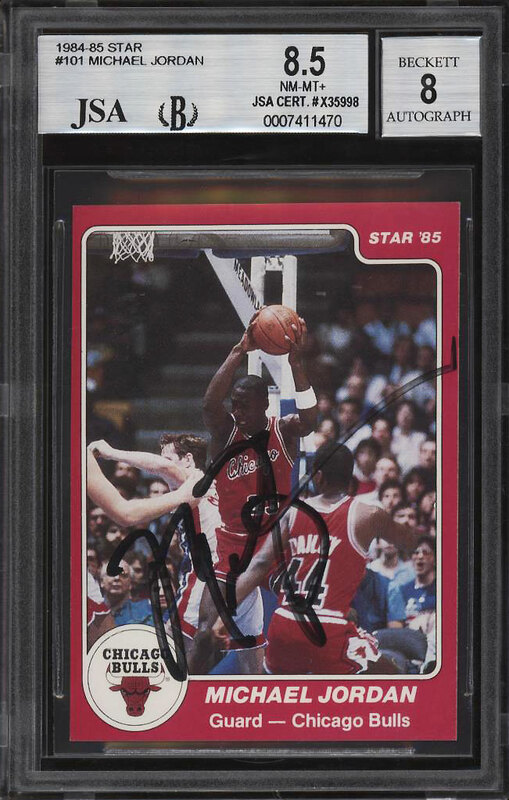 Among the most important Michael Jordan rookie cards ever created and rarely seen autographed by the legendary Basketball player. The offered #101 Jordan rookie displays beautiful high-grade attributes with near flawless surfaces which present bright color and exceptional clarity. Completely void of typical excess surface print to boot. Shows fresh edges around with crisp edges and nice centering for the issue. 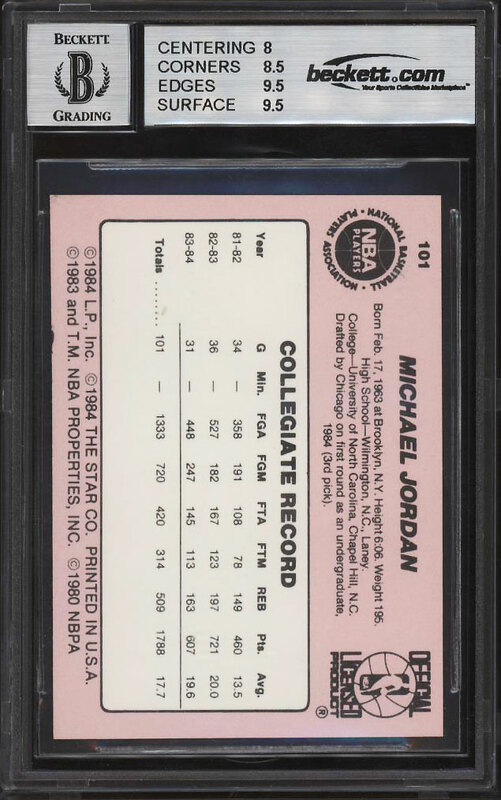 Michael Jordan has personally autographed this card in black ink and is assessed as NM-MT by JSA. The nature of the autograph is believed to be from his early careerr which makes this all the more intriguing. A highly attractive and important modern day rookie which is deserving of the finest portfolio. One of over 18,000 cards, lots and sets up for bid in our 6th Auction of 2018. Click on the link above to view the other PWCC auction lots.